I'm a note taker. It helps me concentrate, think, learn, and apply what I'm hearing. 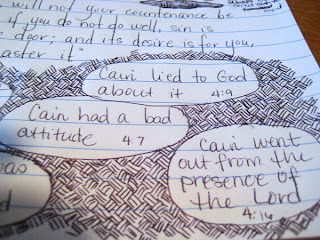 I'm also a doodler. But mainly, I'm unorganized and lose notes or never look at them again. 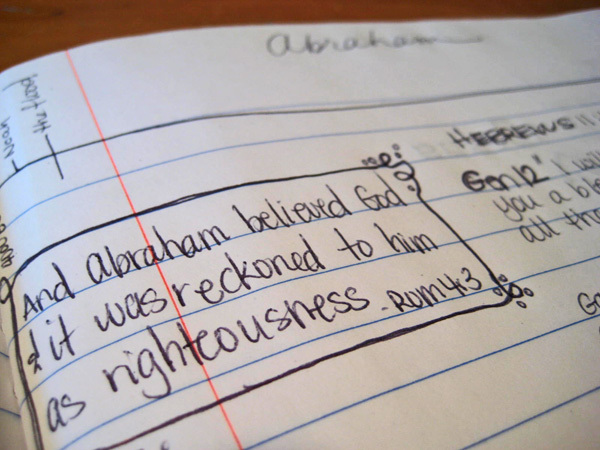 But I finally found a new way that keeps my notes organized, together, and all in one place and I hope give you a bunch of ideas for you to create your own Bible Journal! A Do It Yourself Bible Journal! I've been using my Bible Journal notebook for a few months now and am so excited to say that it really DOES work and makes me so excited to go to church and learn more and fill more pages! I can't tell you the difference this organized way has made in my Bible study times, meetings with our mentors, books I'm reading, and Sunday morning services. So I'll jump right in on how to set it up for yourself. I'm so excited for you to try this! 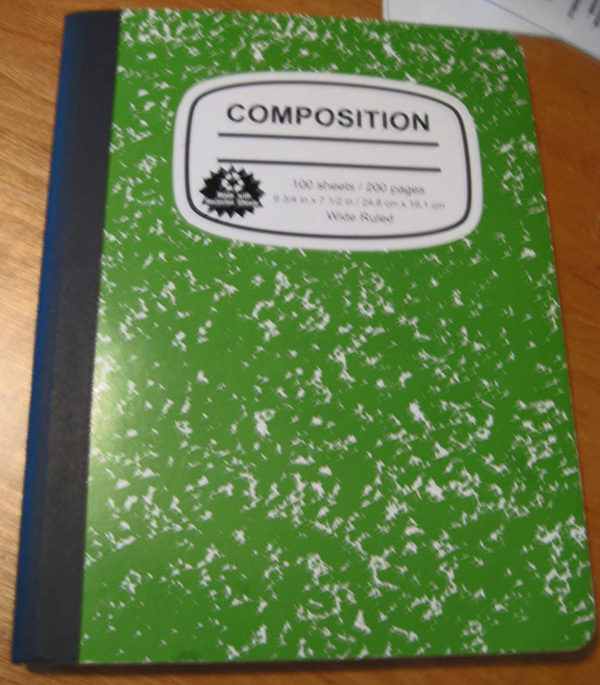 First, I grabbed a simple, cheap (under $2) composition notebook. Get one you really like. I wasn't sure that I would like this system, so I just used a wide ruled, ugly covered one I had laying around (wish I had gotten a college ruled one with a pretty cover). Find one you'll love (though I've grown to love it so much and I'll probably recover it at some point anyway). Now you're going to make your Table of Contents. Leave at least the first 5-6 pages blank for this. 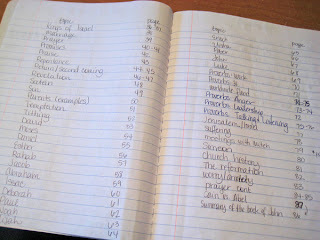 I listed everything in the Bible I wanted to know more about that I could think of. I wrote them on a different piece of paper, and tried to alphabetize, but since then have added many more on to the end of the list, so it's not that important to alphabetize. 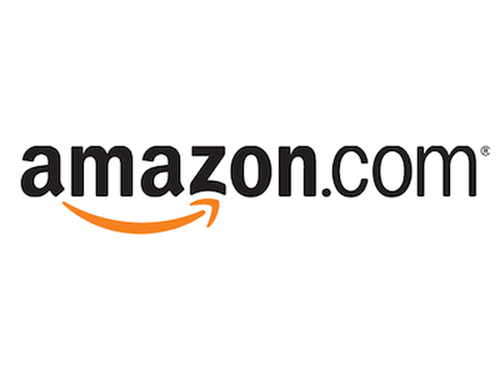 You'll have lots of unused lines on those pages. Then, you're going to skip those first five to six table of contents pages and start numbering every single page (front and back) of the notebook. And, that's basically all you need to do for the set up. Now you get to keep this notebook with you everywhere. 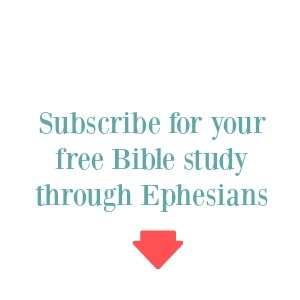 With your current Bible Study, at church, everywhere! 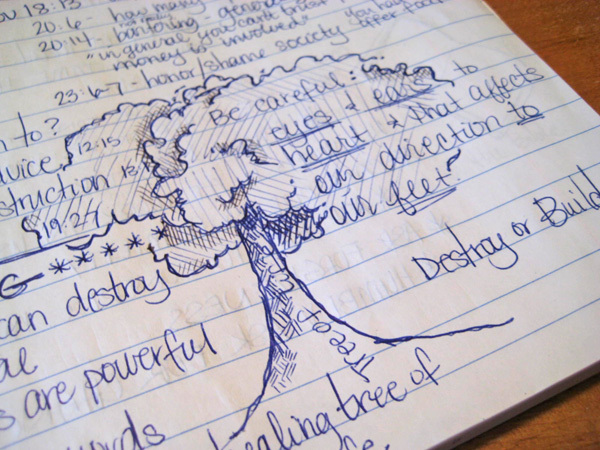 I'm loving that instead of just taking notes on that specific sermon, that I can never find when I need anyway, I put the information that applies to whatever the pastor is going over on the page that is appropriate. I have pages for specific Bible characters that I want to know more about... especially because my Bible history is so weak. I only know a handful of the really popular people of the Bible, and want to know MORE! When our pastor was going over the book of Proverbs, I made a new page for some of them, but some of them fit on other pages I had already made (anger, anxiety, etc). 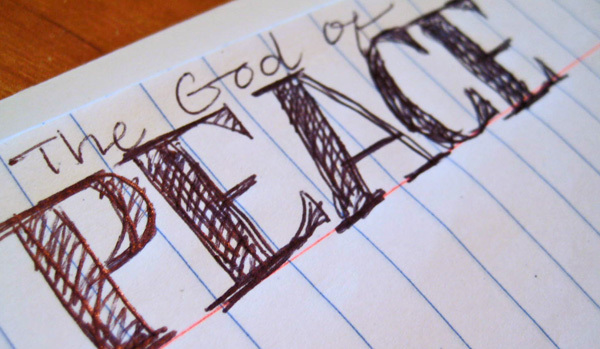 Then there was a sermon that we listened to that brought up another character that I had forgotten about, so I added him to the Table of Contents and started a page just for him. 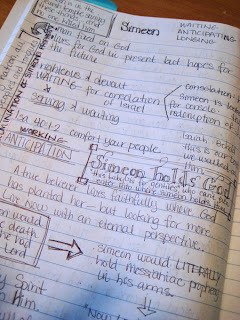 What a blessing to add to my knowledge of more and more people of the Bible! 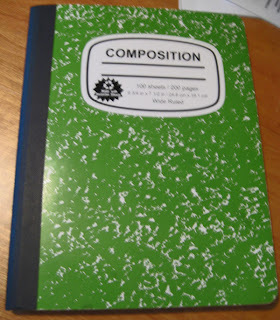 There are many, many blank pages that I have yet to fill in. But that's kind of exciting to me. I always have SOMETHING to study. 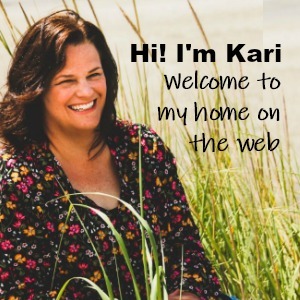 Something to learn more about! I'm excited that I don't need a guided Bible Study book all the time, I'm able to search the scriptures myself for whatever topic I have at hand next. 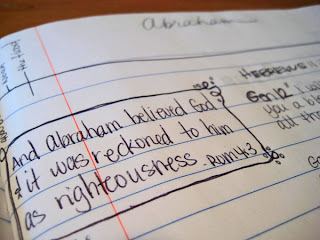 I can't tell you enough, how much this system has simplified, streamlined, and helped my Bible study time and growth. 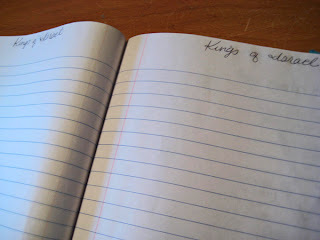 It's so fun to pull my notebook out and add bits of information here and there to a page. 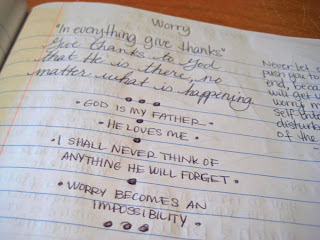 And, what a legacy this will be as I fill page after page of my Bible Journal notebook with God's truth. As long as I'm here on this earth, I'll keep filling it up with ideas and thoughts and what I'm learning to pass along as a legacy to my children of what a great spiritual heritage they have in Christ. Still unsure you can do it? 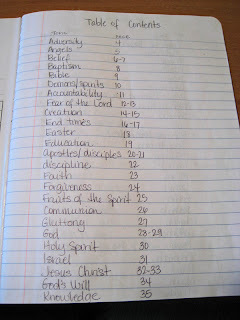 Check out the Bible Studies I wrote that walk you through the process step by step, book by book, of the New Testament! 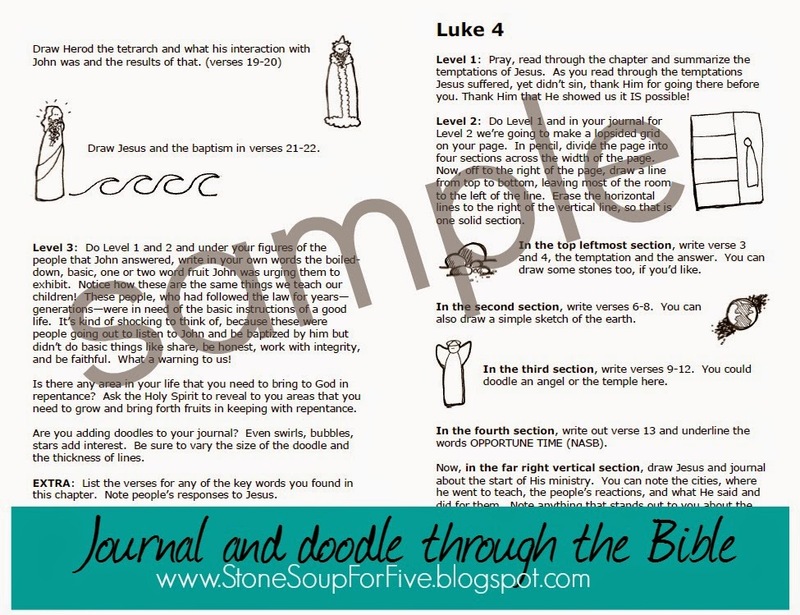 They are full of Bible journal ideas, tips, and doodles to get you going on filling your own Bible Journal notebook! 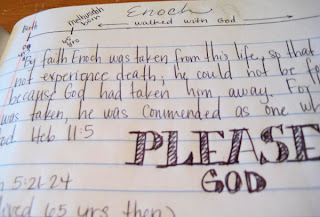 For more updated information on my Bible Journals and lots of Bible Journal ideas, click the Bible Journal box in the sidebar to the right!